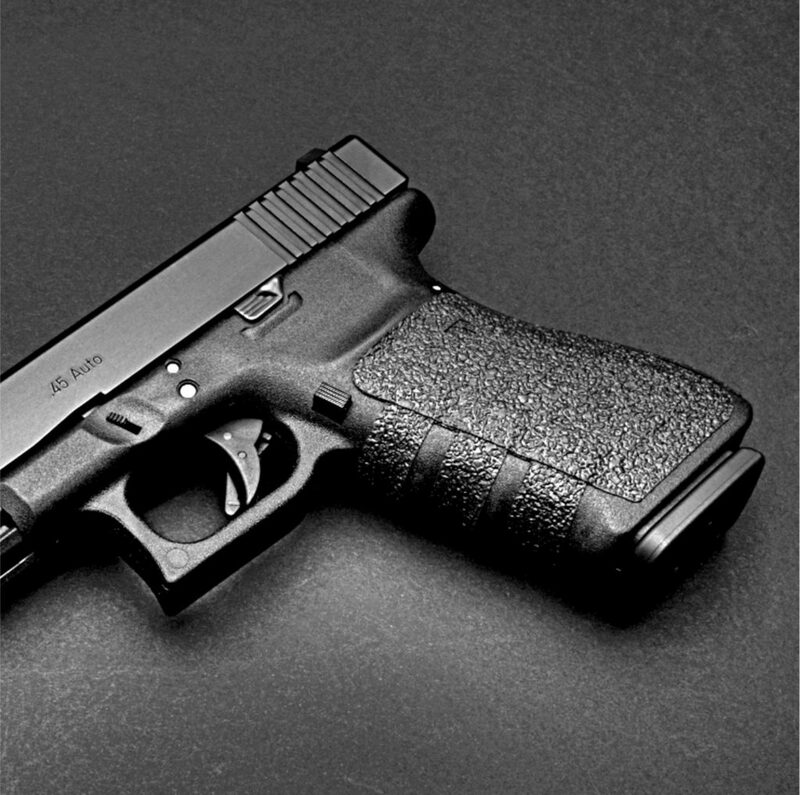 Want more traction on your Glock or other polymer gun? We’ll go over the pros/cons and then teach you how to stipple your handgun for the ultimate customized feel. And if you decide not to stipple…we have our favorite alternatives. 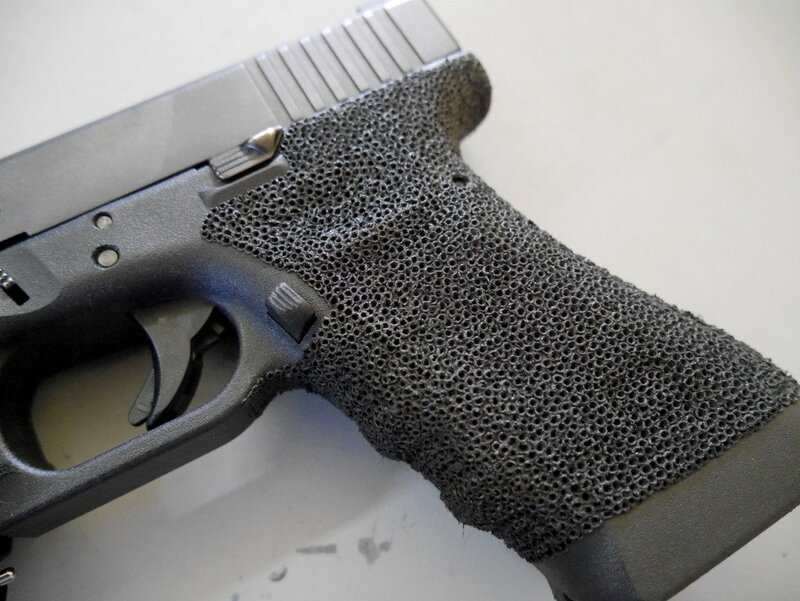 There’s many reasons to stipple your polymer gun. We talked about added traction but there’s also the reason to cover up other work such as the grinding down of finger grooves. For me, I find that my fingers actually end up exactly on the finger grooves which makes it annoying after a couple hundred rounds downrange. Stippling is pretty permanent of a modification. And if you don’t have patience and a steady hand, it may end up looking ugly at best and breaking your gun at worst. You want to make sure that you’re going to keep your gun forever. 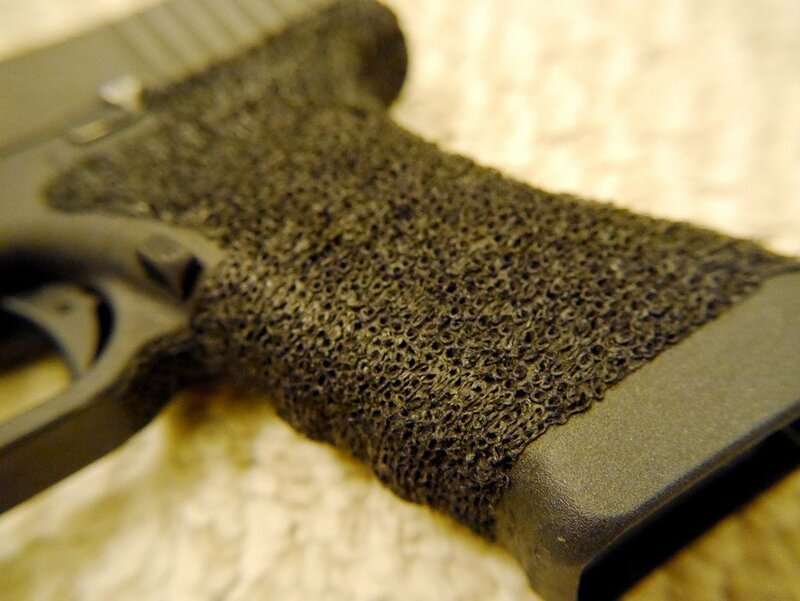 Chances are stippling will lower your resale value significantly. You also want to make sure that your handgun is running smoothly. Stippling will likely void your warranties. Lastly, you want to exhaust all your other options for adding traction. You can cut and stick on skateboard tape or go with something more customized like Talon Grips ($20) that now have rubber textures. And here’s one problem that you don’t really hear people say…your gun might get a little funky smelling. I’ve found that the dimples make perfect repositories for dead skin cells. And all the good stuff that comes from letting organic matter sit around. Nothing a little cleaning can’t get rid of…but still worth a consideration. This one is simple, you just need a cheap soldering iron (or one with a disposable tip) since it will get dirty with the polymer. I used the $9 one above and it’s held up through 3 pistol stipplings. The Dremel tool is option if you want to remove some of the finger grooves. But that is personal preference. An easy way to tell if you’ll benefit is if you get callouses where your fingers hit the groove. I trim them down on mine. Let the soldering iron heat up for a while so it is the max temperature. I would recommend testing it on a similar surface. If you have a Gen 4 Glock with other backstraps you are sure you won’t be using, try it on that first. Below is a great video to see a soldering iron in action. The guy first Dremels off part of the finger grooves but also smooths out the natural bumps of the grip. I think taking off the bumps of the grips is overkill but could lend to a more even texture in the final product. He then marks off the area to stipple with a marker. For my defensive gun, I went with a mild stippling like in the video. To get that texture, I just pressed down softly and lifted up. In my race gun Glock 34, I tried to get it more aggressive. I pressed down harder and instead of lifting straight up, I dragged the molten plastic to the next hole. It is a LOT grippier and I love it. You can also see that I stippled underneath the trigger guard and next to the slide lock (where my left hand thumb rests). 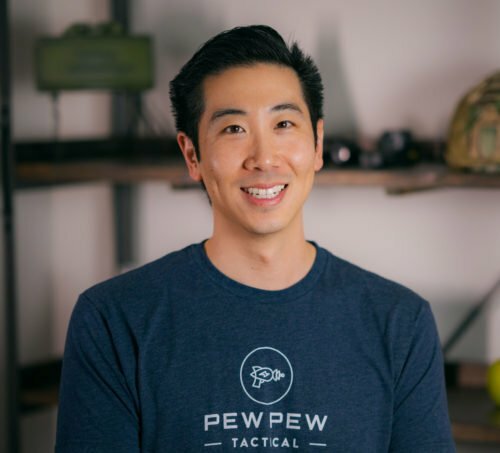 If you might use your pistol in competition, you will need to check the official rules. 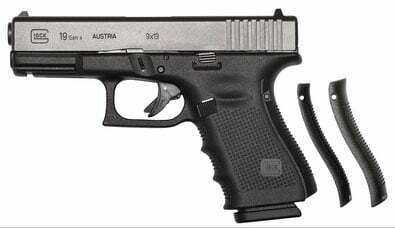 For me, if I were to use the G34 in USPSA Production class, I would not be able to have the additional stippling. Want something non-permanent? I really like Talon Grips which come in two flavors…sandpaper and rubberized. Follow the instructions and I like using a heat gun…aka hairdryer to really warm up the wrap before leaving it alone to dry. Get the rubberized if you are considering using it as a concealed carry gun since it’s less likely to snag on clothing. 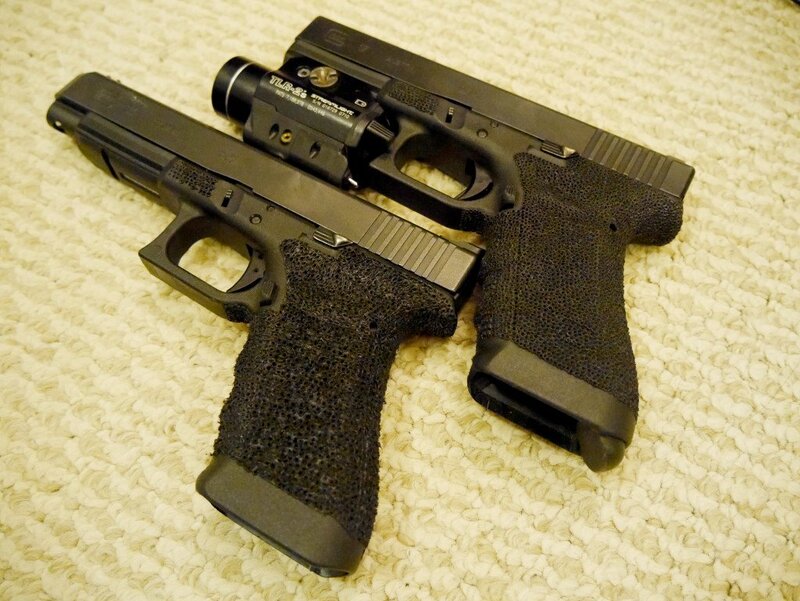 So what’s your opinion on stippled Glocks? Are they an eyesore or do you love the max traction like me. 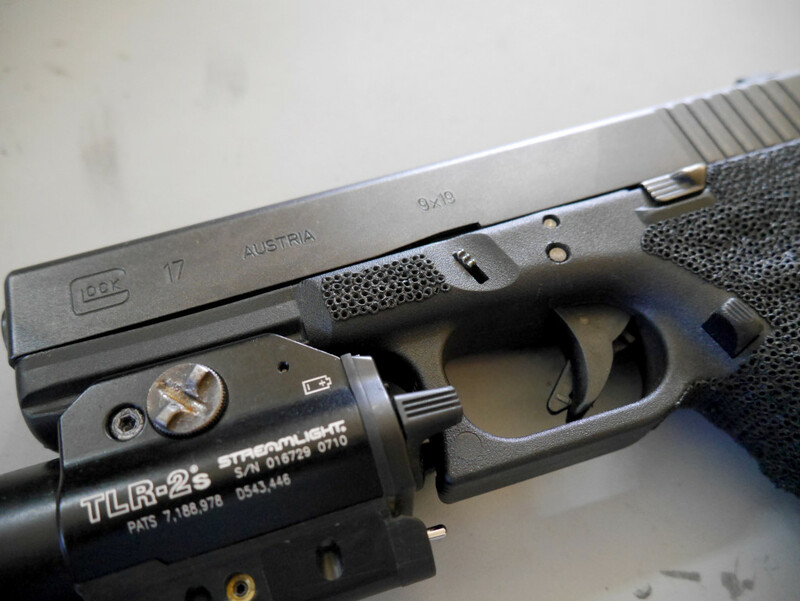 For more mods…check out 4 Essential Glock Modifications. Real talk. Dont listen to the haters owning a gun is something extremely personal. If you are happy of the work you did and you love your gun that all it matters. To each is own and I applaued you for trying do do what makes you happy and trying to help others. Not bad for a soldering iron…. That being said never use a soldering iron to stipple. It looks bad and there is no real precision or control. Better to use a wood burner and buy a a stippling tip for it. It increases the cost of the job but it’s worth the extra $30 for the aesthetic alone. Check out OTD for their stippling supplies. Thanks for the advice. I just looked on the OTDefense website. Definitely the place to go if you want the tools to do a professional looking job, and they really aren’t all that much. Well worth the added expense. What do you use to clean it? Just a dry toothbrush? Do you need to get in there with soap/ detergent, or does a degreaser do the job? Not bad, I like that you didn’t use sharp corners and went with a more rounded effect with your turns. I’ve seen stipple jobs with sharp 90 degree angles and IMO the bends and curves look better on the gun. I like the idea of putting your own mark on your weapon, it’s a common tradition of past warriors. Sammuri sword handles, knight swords, AMI arrows are all examples of weapons that were customized by the warriors who used them. Nice to see the tradition being carried on.